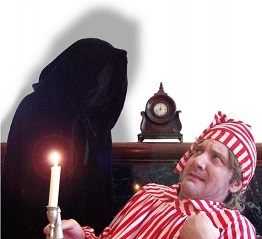 The Portland-based Traveling Lantern Theatre Company will perform the play, Story of Scrooge, a fun and educational experience for children! The play centers on Ebenezer Scrooge, a nasty, mean, snarling old geezer with no care for anything other than his money. His one and only friend visits him as a ghost and starts him on a journey that melts his icy heart and teaches him the joys of caring for and giving to others. This program is proudly sponsored by the Eagle Point Friends of the Library. For more information, contact the Eagle Point Library at 541-826-3313.